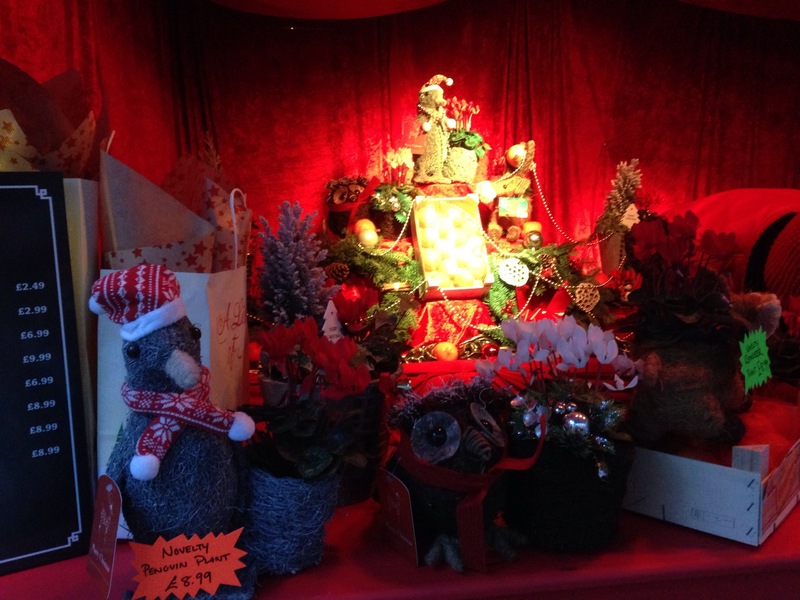 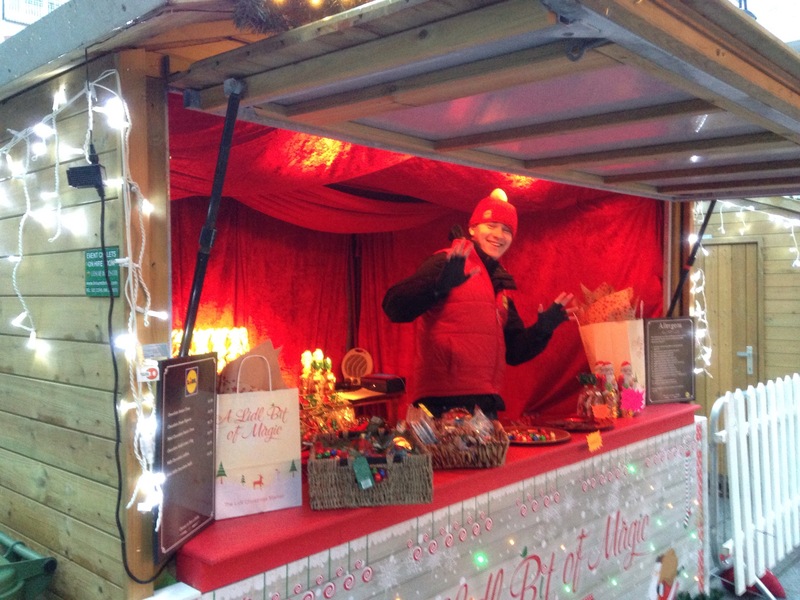 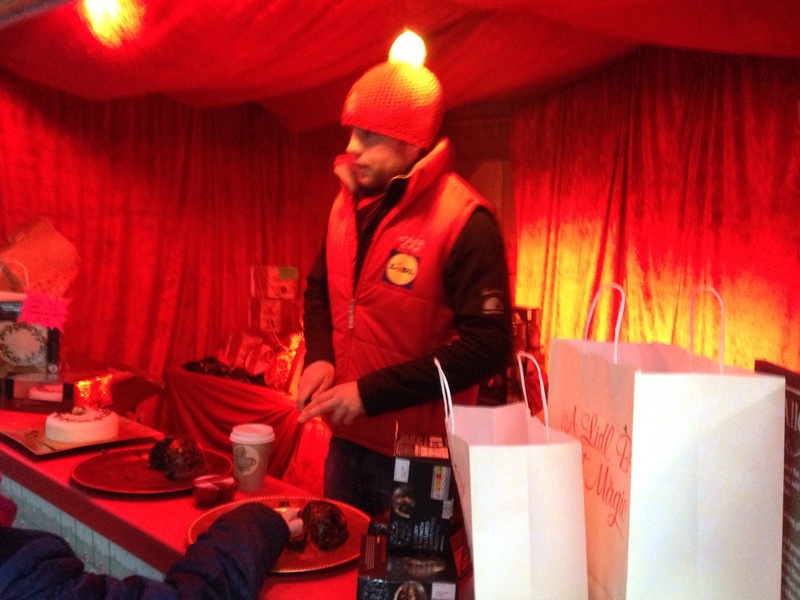 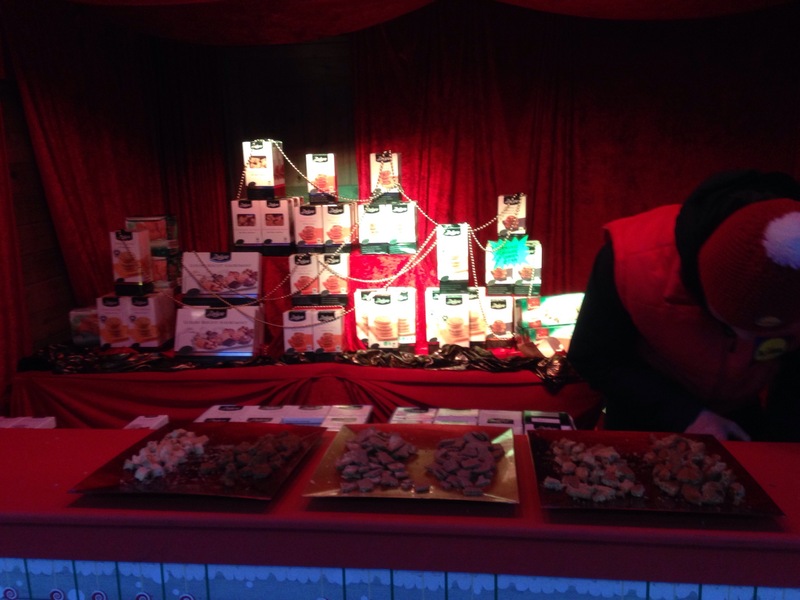 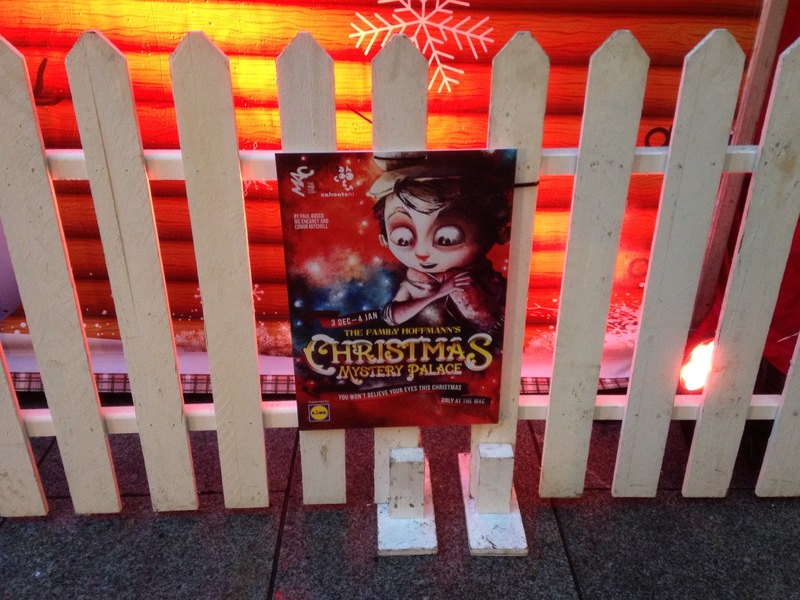 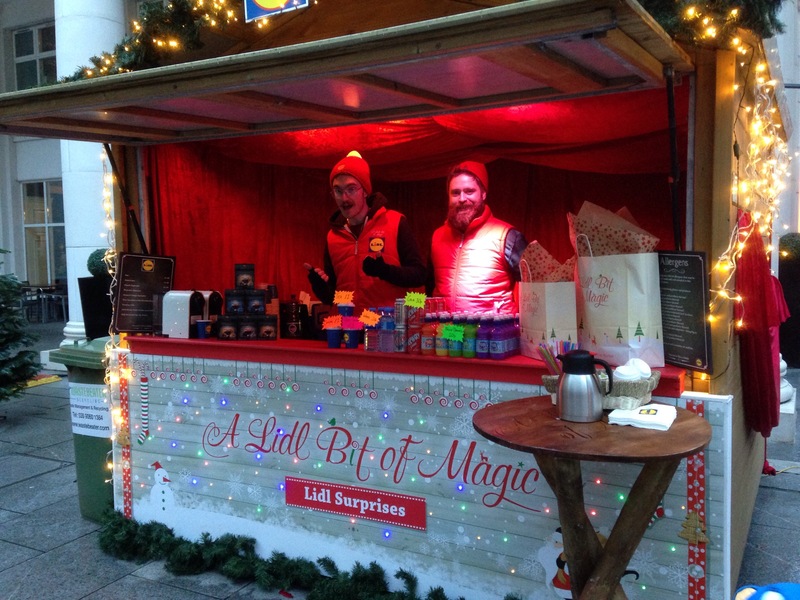 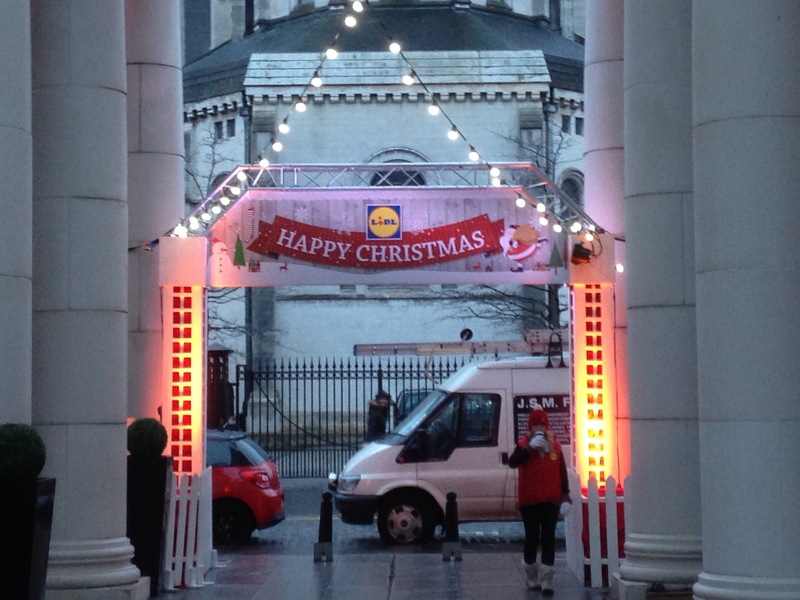 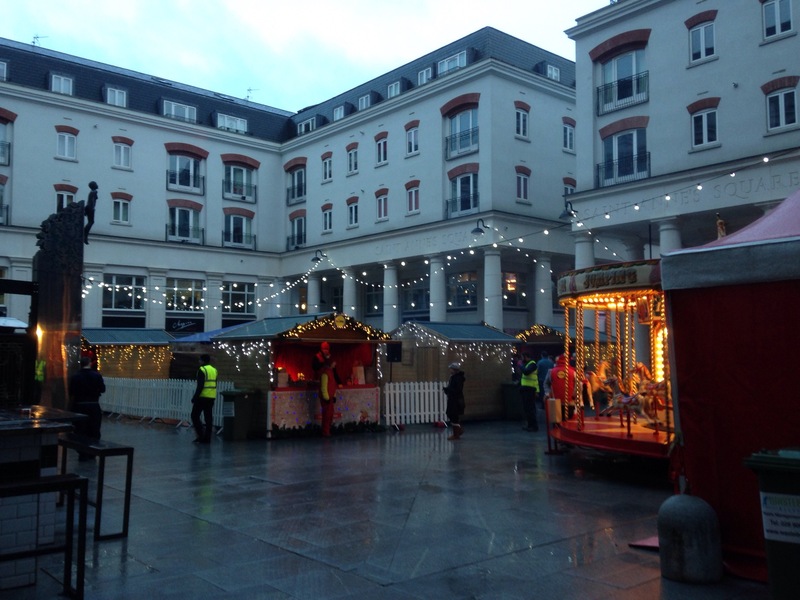 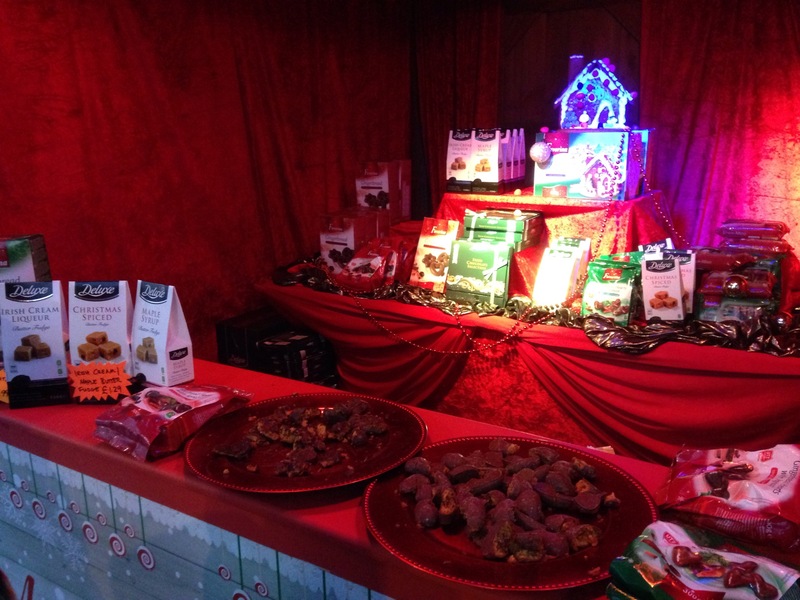 The BFM went to Saint Anne’s Square to see the fourth free admission Christmas Market. 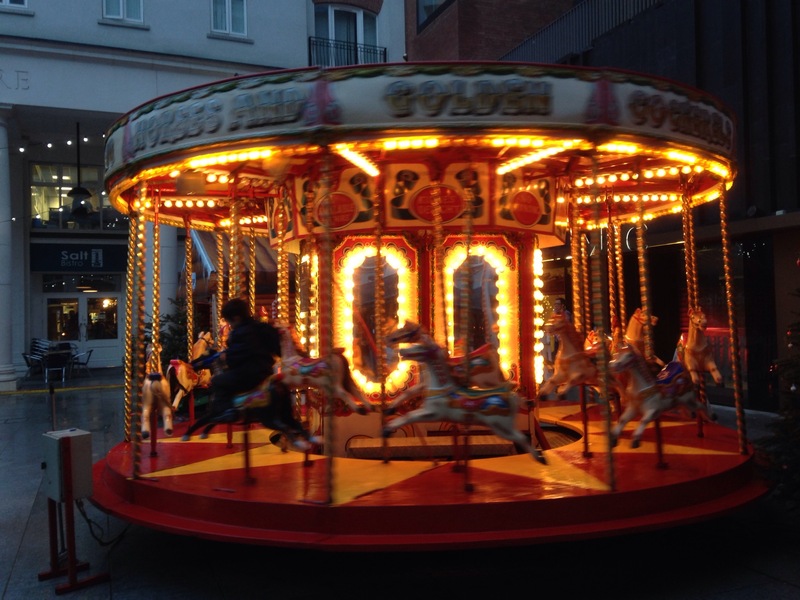 It is running for 4 days. 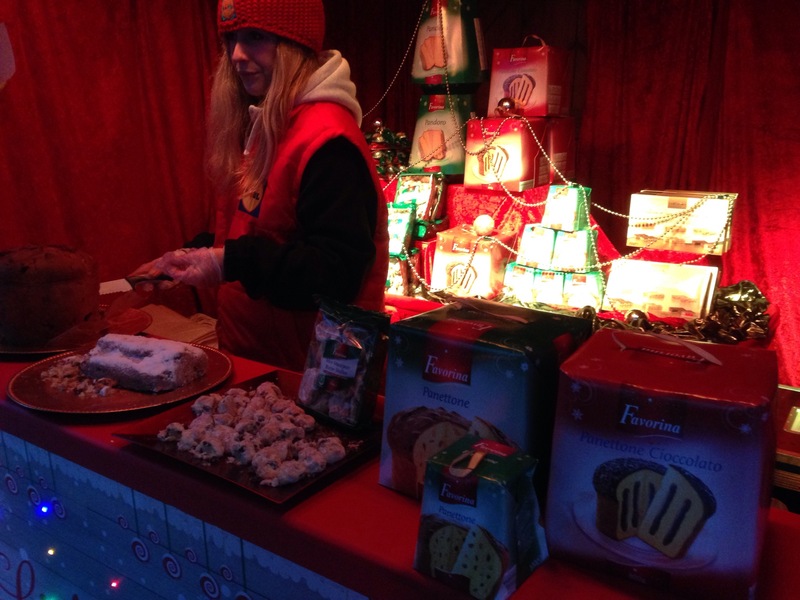 On show is a selection of Christmas inspired German and Continental traditional Christmas foods and drinks to taste and buy. 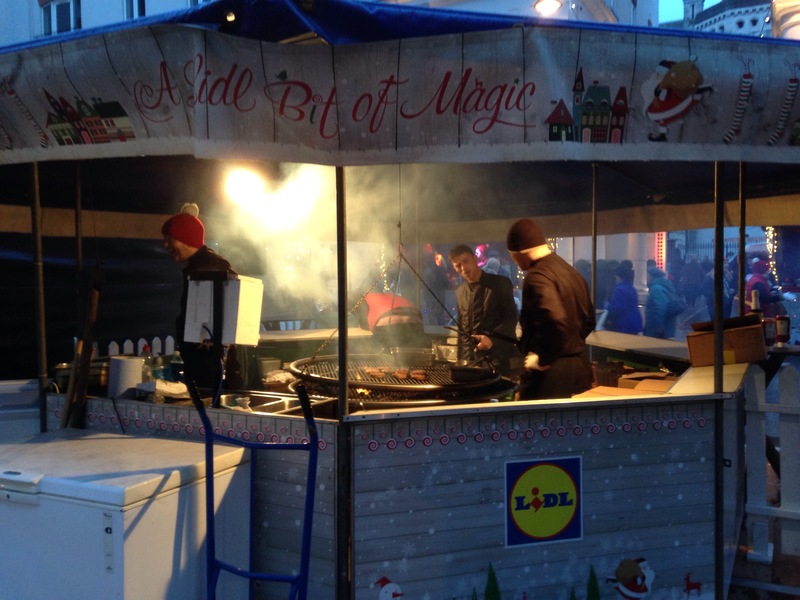 Also there are local products like burgers and sausages cooked on a schwenkgrill or rocking BBQ. 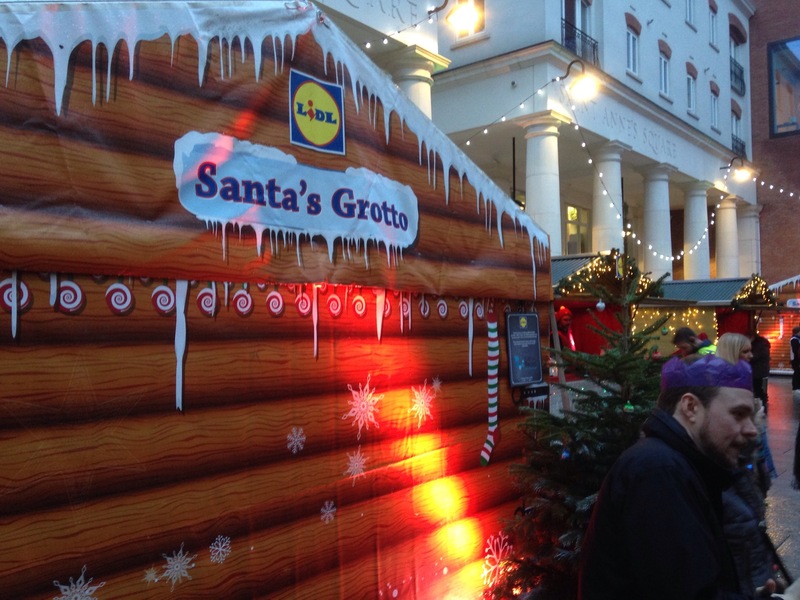 Also a Santa’s Grotto and Workshop. 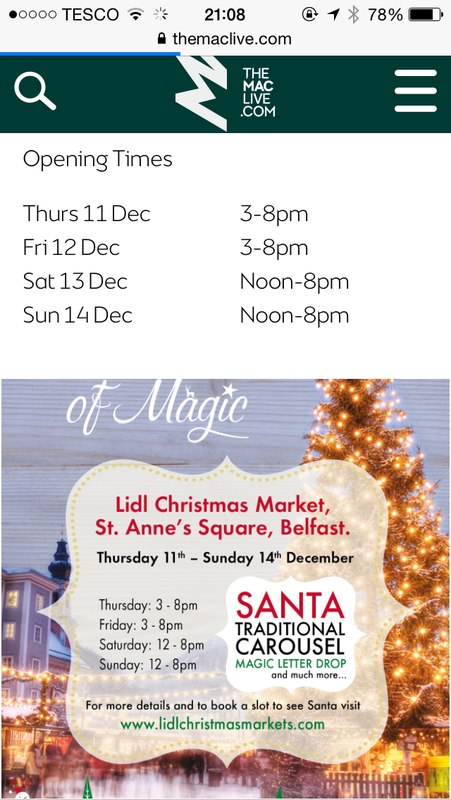 Lidl are also sponsoring CahootNI show at the MAC The Family Hoffmans Christmas Palace from 3rd Dec to 4th January, so another reason to get down. 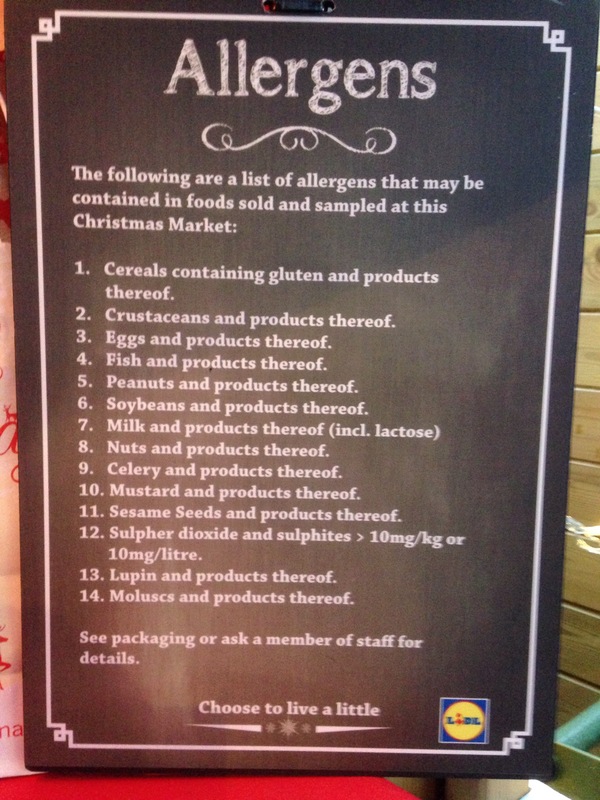 There are allergy warning signs and a merry go round. 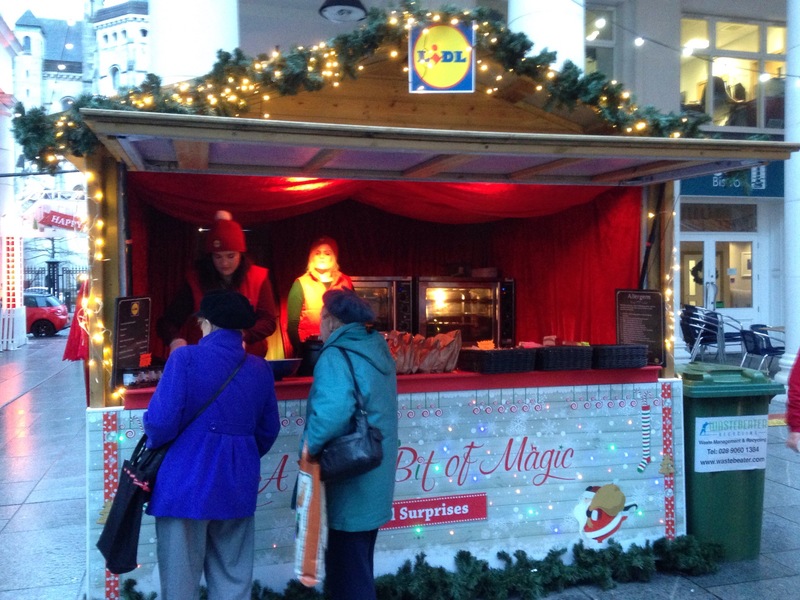 Also Lidl have opened their first City Centre shops recently. 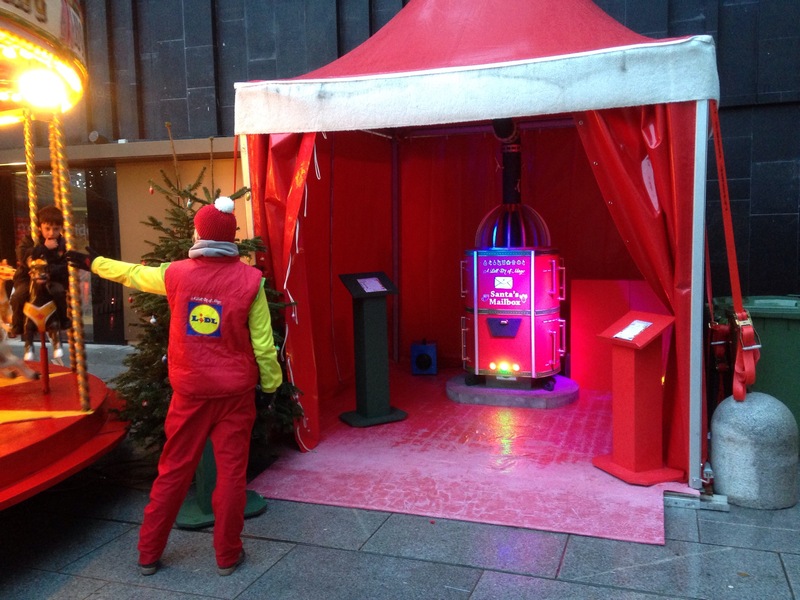 They really are turning the heat up on their competitors. 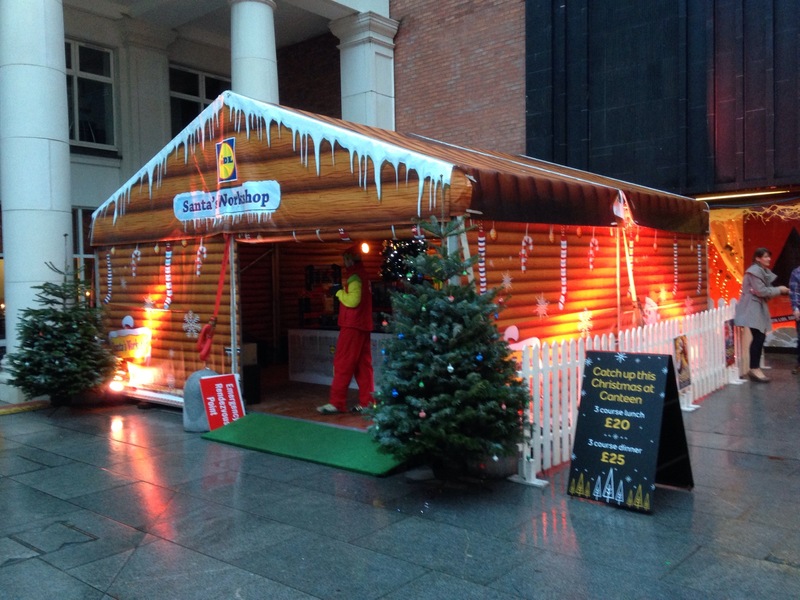 I’m looking forwards to the frozen lobster.